Digital cameras are amazing pieces of technology, and they only keep getting better and better every year. It seems like new features are introduced to cameras just about every month– image sensors get better, lens options are growing, image stabilization gets crispier, and even camera AI (such as face detection and other assists) get smarter. Even memory cards are becoming much faster and capable of holding more data. While everything seems to be on the up and up, there’s something that digital cameras continue to fall short on– capturing a perfectly balanced exposure. This is where human eyes outperform the digital camera on any occasion. Imagine that you’re admiring a beautiful landscape in front of you that features a bright sky and well-lit mountains. As your eyes render the sight from bottom to top, it remembers the brightness and details of the mountains, even as your eyesight moves upwards to eventually focus on the bright sky. With digital cameras, however, it is nearly impossible to get this same effect. If you focus on the bright sky, the mountains tend to suffer in brightness and detail capture. If you focus on the well-lit details mountains, the sky’s exposure weakens. That’s where HDR comes into play. HDR imaging, or High Dynamic Range, is a technique in photography that is extremely helpful in capturing all the minor details and correcting exposure in a photo. Essentially, HDR imaging is the practice of taking two or more photos of the same scene, at different exposure levels and layering them together with special software to create a better, higher dynamic range photo. The final result is a photo that’s crisp, well-balanced, and captures all the details of the scene. As mentioned earlier, special software is required in order to create these HDR images. While there are many HDR photo editing software available in the market (some free and some paid), not all are created equal. In fact, there are only a few HDR editing software that is truly worth your while– a majority of other HDR software programs available are subpar and lack in terms of quality and engineering. To aid in your search, here are the top five HDR photo editing software to make the most out of your pics. They are great options whether you’re a beginner photographer or an expert in the field. Aurora, created by the photography masterminds at Skylum, is award-winning software that is the preferred choice for expert HDR photographers worldwide. While it was exclusively available for Mac OS for quite some time, it is now available for Windows users as well. Fresh out the “package”, Aurora HDR is a workhorse that is as beautiful as it is impressive. The user interface of the software is extremely uniform and polished, making it very user-friendly and a pleasure to use. Even with the countless number of tools and options, Aurora has to offer, it doesn’t look or feel cluttered at all. Cosmetics aside, Aurora HDR packs a mighty punch under the hood for a reasonable price. With this software, you can turn bland photos into polished and beautiful works of art. Of course, you want to make sure you’re only using high quality images. Some notable features include luminance controls, color correction, RAW file capability, lens correction, chromatic aberration, dodging/burning, adjustment layers with brush and gradient masking options, and much more. Even with its extensive list of tools and capabilities, Aurora HDR continues to process requests smoothly and quickly. In terms of working speed, it is very comparable to Photoshop– it works blazing fast for all general tasks, and you may experience only a little lag when working with extremely large files and lots of layers. 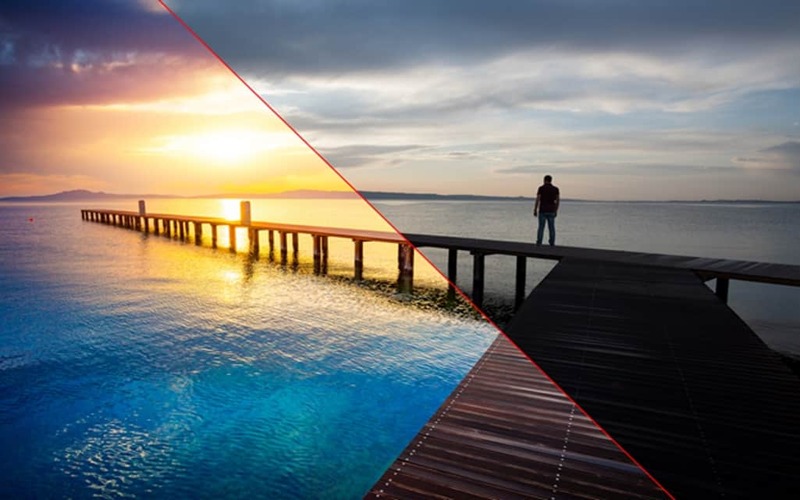 With its precise HDR processing algorithm, long list of tools and capabilities, and fast processing speed, Aurora HDR is easily the best available software for creating and editing HDR images. While HDR Darkroom 3 (latest version) is not a workhorse like Aurora HDR, it is one of the easiest to use and minimal in design, making it perfect for quick HDR edits and touch ups. The setup and workflow on this photo editing software are made to be hassle-free. First, you upload your image onto HDR Darkroom. On the initial screen, you can make simple edits, such as saturation and exposure correction. From there, you take it into edit mode, where you’ll have a bit more options available for editing. The program features tools such as deghosting, advanced tone mapping controls, and auto alignment. 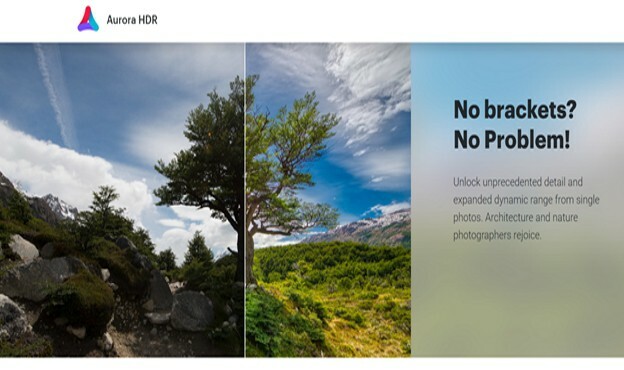 Although the completed work will not be on the same level of quality as you’d find from Aurora HDR, it is a great tool for users who just want to make quick fixes or who are fairly new to the world of HDR. 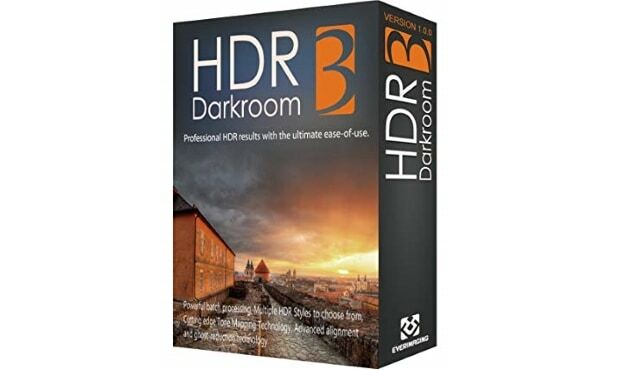 HDR Darkroom 3 is available for both Mac OS and Windows users. For the more experienced HDR photographer, HDR Projects is the answer to your request for more options. 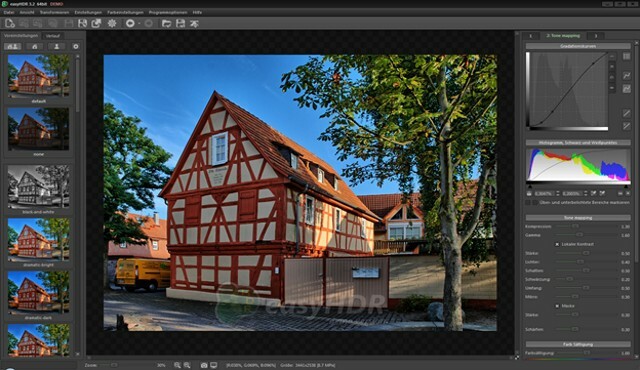 While the HDR photo editing software comes fresh out the pack with presets for quick editing, it also comes with many advanced editing features, including RAW/4K support, batch processing, Photoshop filter plug-in capability, automatic deghosting, and of course, its impressive HDR processing algorithm. To make things even better, HDR Projects is easily integrated with Lightroom to make your workflow seamless. You can begin your editing in HDR Projects and then finish editing your file directly in Lightroom. 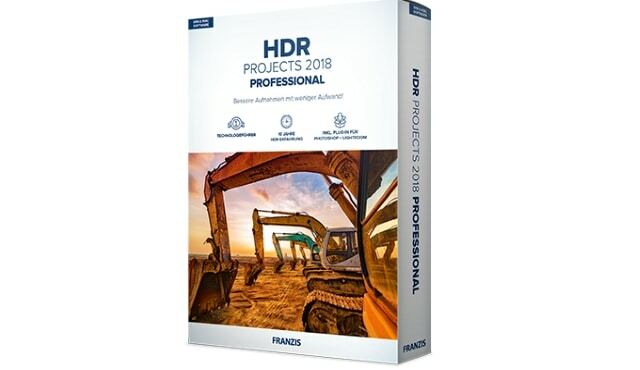 HDR Projects is available on Mac OS as well as Windows. While it isn’t the cheapest, at a price of $99, it is a great option for serious photo editors who’d prefer to pay a one-time fee versus a subscription. As the name suggests, easyHDR is another HDR software that was made for people who want to make quick edits without too much hassle. However, even though the user interface is very clean and easy to use, this easyHDR still packs a lot of power under the hood. Some notable features include tone mapping, alignment control, lens correction, and more. It’s clean interface is easy to navigate and makes the workflow a sinch. Like HDR Projects, it also features Lightroom integration. For users who want to skip the process of making minor edits (such as saturation and contrast), easyHDR comes with some great presets to choose from. This software is available for Mac OS and Windows users for a low price of $39. As you might already know, Adobe Lightroom Classic is not a dedicated HDR photo editing software. Rather, it is a complete photo editing software that is built to make general edits such as tone mapping, alignment, color grading, and more. However, where Lightroom impresses us is that it comes with HDR editing power, letting you merge multiple images of different exposures into a single HDR image. If you already use Lightroom for general photography, then this makes it a great choice since it eliminates the need to purchase additional software or move from one platform to another. You can simply create the HDR image and proceed to use Lightroom’s editing tools to adjust the image to perfection. 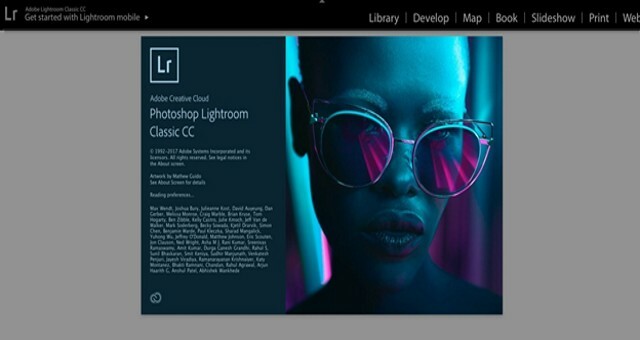 While all the other software programs listed here can be purchased for a one-time cost, Lightroom is only available via subscription. It is available for Mac OS and Windows.